Whether tanks and silos are being used on an industrial site, in chemical or other manufacturing, in food production, or on a farm, regular maintenance by a professional cleaning service provider is vital to ensure that product residue does not build up on the internal sides and discharge sections. The contents of the tank may be wet or dry, but lack of efficient and effective cleaning, in either case, can lead to product contamination and spoilage, or to the slow flow of products in and out of the silo or tank. Damaged or inferior products, lack of health and safety and quality compliance, and delays in production all run a high risk of financial and reputation loss. AM Services Group’s specialist cleaning technicians are fully trained and experienced to support efficient and effective maintenance regimes and to carry out a quality service, not only meeting your tank and silo cleaning requirements but also delivering the highest standards of health and safety. Wherever confined space and high level work is involved with tank and silo cleaning, you will be in safe hands with one of our team and we will help to minimise risk, when possible, by using appropriate specialist equipment. Our comprehensive tank and silo cleaning service helps to keep your products in top condition, reduces the possibility of banking and bridging and can encompass discharge equipment. We work around you, supporting your policies and procedures, to ensure that operational efficiency is maintained and downtime is kept to a minimum. Our quality service also helps to ensure that your valuable assets will serve you as well as possible for as long as possible. We tackle internal and external issues to ensure that the highest standards are maintained on the outside and on the inside of your tanks and silos. We always work as quickly and efficiently as possible without ever compromising health and safety. Why choose AM Services Group? AM Services Group’s team are very experienced at delivering tank and silo cleaning.  The specialist technicians pride themselves on putting their own and the client’s health and safety at the top of the agenda. AM Services Group’s qualified teams are fully equipped with appropriate personal protective equipment (PPE) and trained in the very latest safety procedures. have experience of providing this service to a wide range of customers including blue chip companies.